These ornaments have been retired. Call the Development Office regarding the wait list, 309-674-2005. It was inspired by Rolan's 1974 Christmas card. 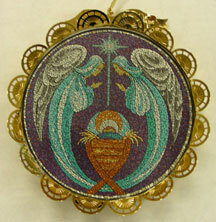 Fourth in the series, this oval ornament is titled "Wise Men Seek Christ." 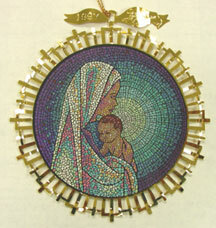 Inspired by Rolan's 1988 Christmas card, it is approximately 5" x 3.25". 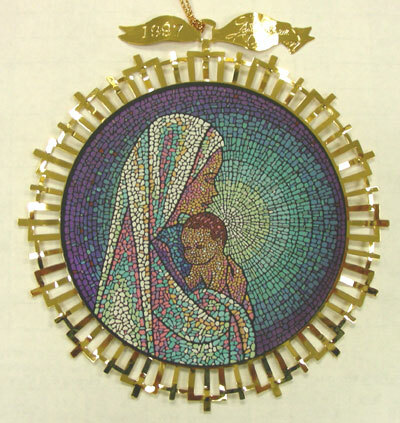 Third in the series, this 4" round ornament is titled "Behold Jesus ...the gift of God." It was inspired by Rolan's 1996 Christmas card. Second in the series, this oval ornament is called "Hark! The heald angels sing, 'Glory to the newborn King'." 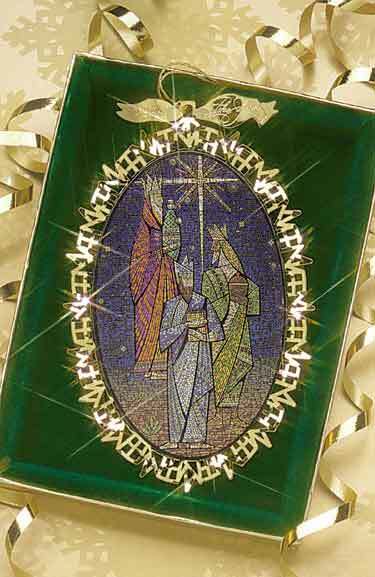 Inspired by Rolan's 1983 Christmas card, it is approximately 5" x 3.25". First in the series, this 4" round ornament is simply titled "Rejoice!" It was inspired by Rolan's 1993 Christmas card. The three-year Commemorative Collection III celebrates the third series of the annual Rolan Johnson Christmas Ornaments. Only 25 framed collections were made available. 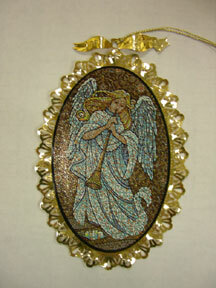 This collection displays ornaments dating from 2005-2007. 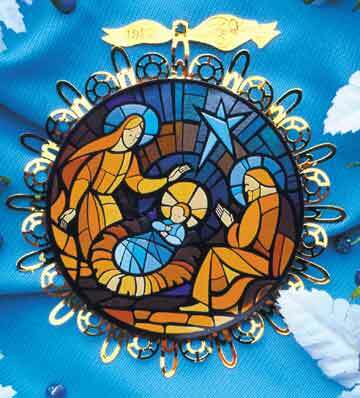 The five-year Commemorative Collection I celebrates the first series of the annual Rolan Johnson Christmas ornaments. Only 100 framed collections were made available. Each collection is numbered and includes a certificate of authenticity. This collection displays ornaments dating 1995-1999. "A Child is Born and His Love is Born Within Us"